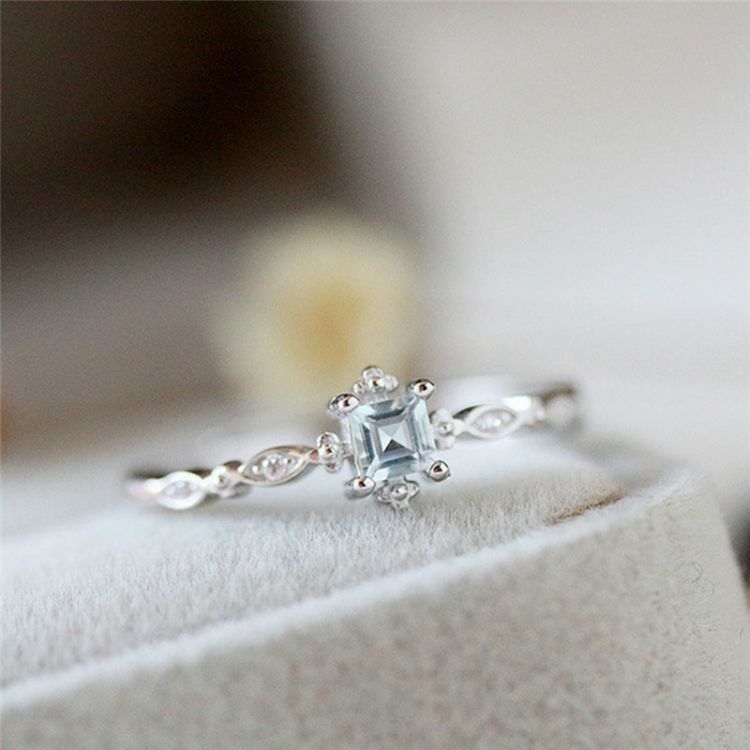 A square shaped Aquamarine CZ with a curvy ring band adds elegance to this unique ring. Delicately small and pretty this ring makes a perfect gift for a March born lady. Buy one for yourself or for that special March baby in your life!